My twin boys’ hockey team is hosting a tournament this weekend. Each parent was asked to donate an item to be raffled off on our raffle table. This was the perfect opportunity for me to show a bit of my skill and drive some interest for what I love to do. 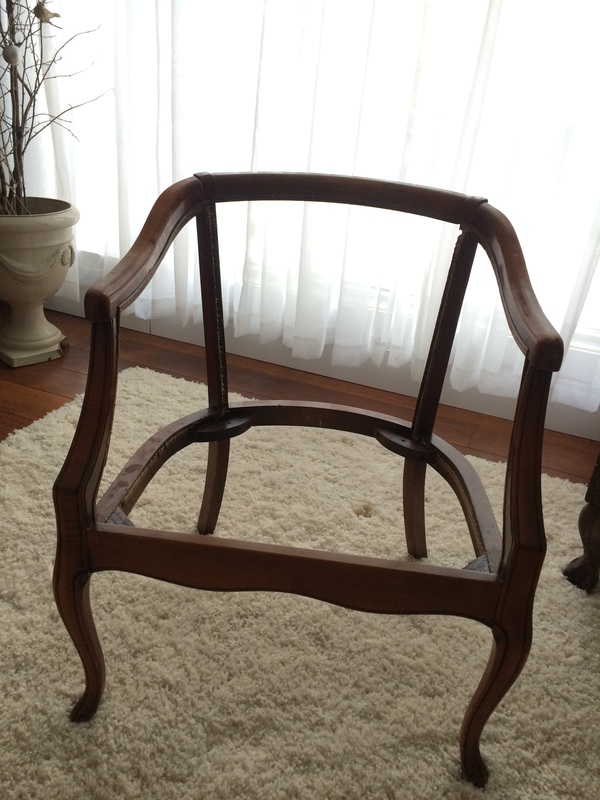 I decided that this little antique barrel back chair would be a fun project to share. 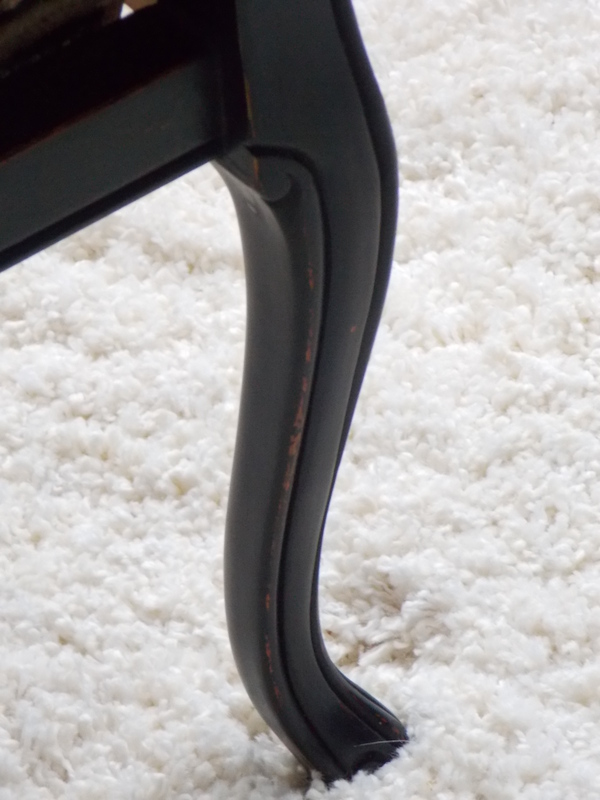 I believe this chair used to have a cane back before someone turned her pink. Whoever turned her pink did a beautiful job with the upholstery but got lazy when it came to removing the caning. They took a sharp blade and just cut around the arms leaving sharp little pieces poking out. It took a while to fix this and smooth everything out. 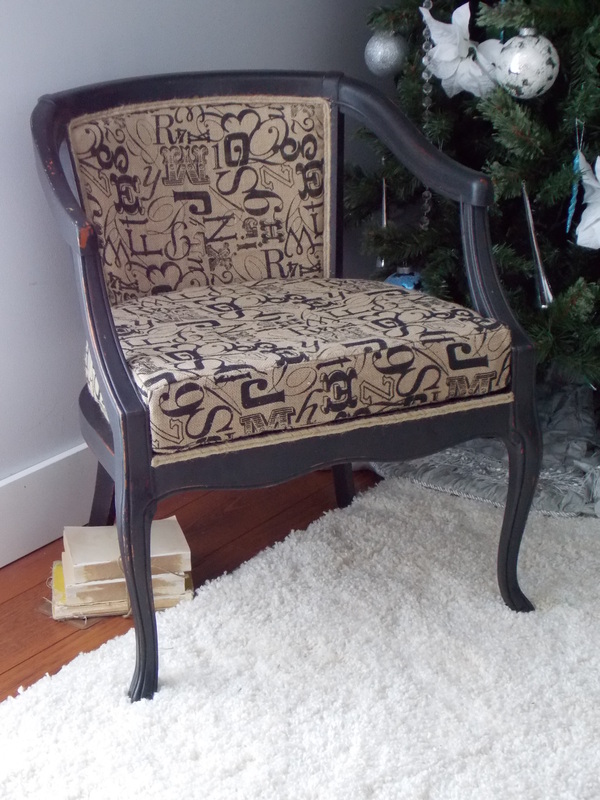 Once the chair was stripped down to just the frame, I painted it with milk paint in the color typewriter. When it was dry I sanded it smooth until some of the original finish to showed through allowing subtle highlighting of the detail in the legs. After some wax and buffing, it was time to dress it. 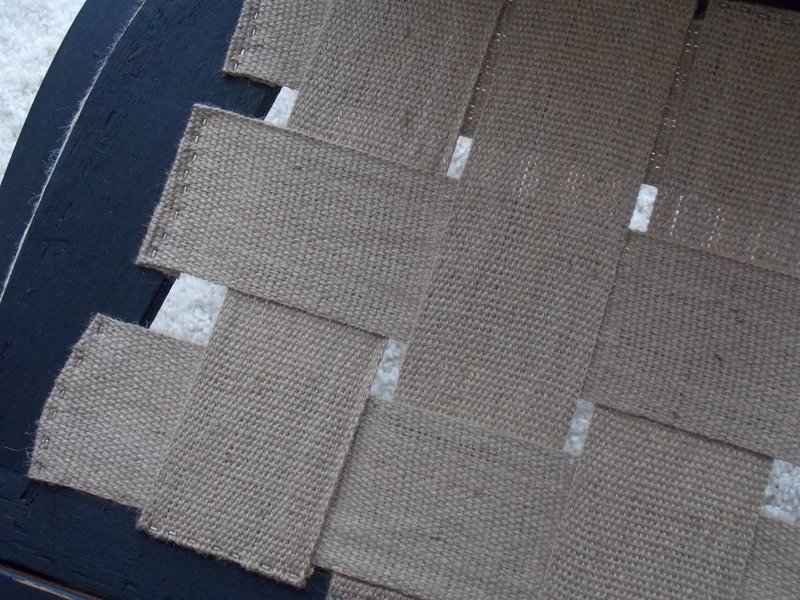 I chose a printed burlap for this project. The black letters tie in nicely with the black frame of the chair and add some visual interest, while the burlap gives it some texture. 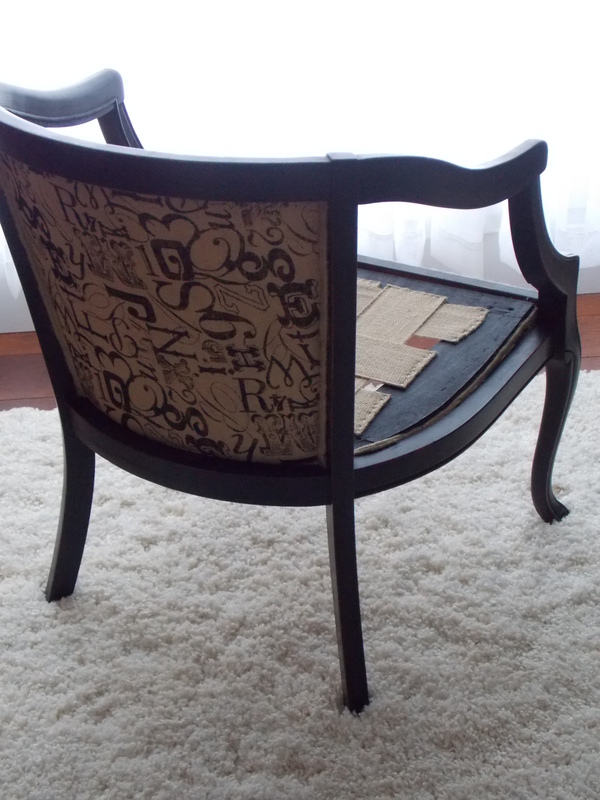 It also gives a bit of a relaxed feel to what used to be a fancy looking chair. This chair can now go in any room of the house, not just in a fancy sitting room. 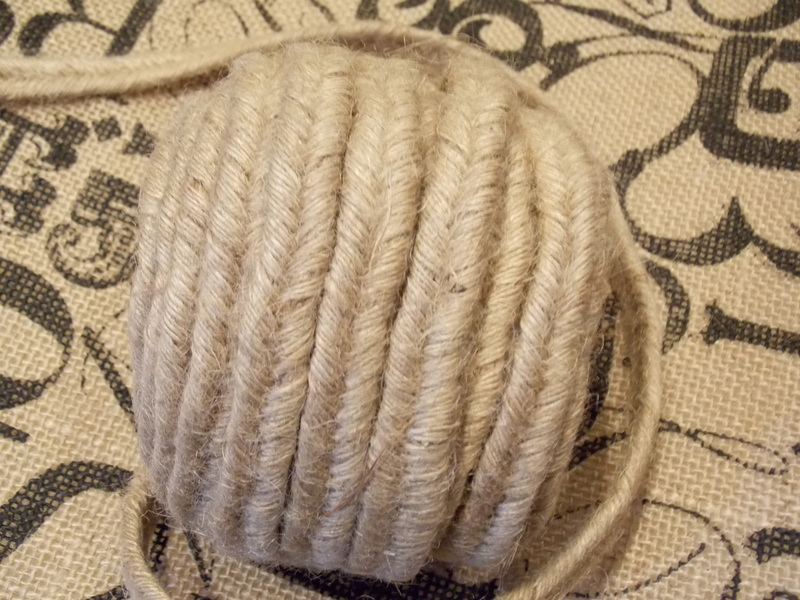 Instead of piping I used some really pretty hemp twine braided in a herringbone/fishtail pattern. I found this in the Christmas wrap section at Home Sense and couldn’t resist it as it was so unique looking. 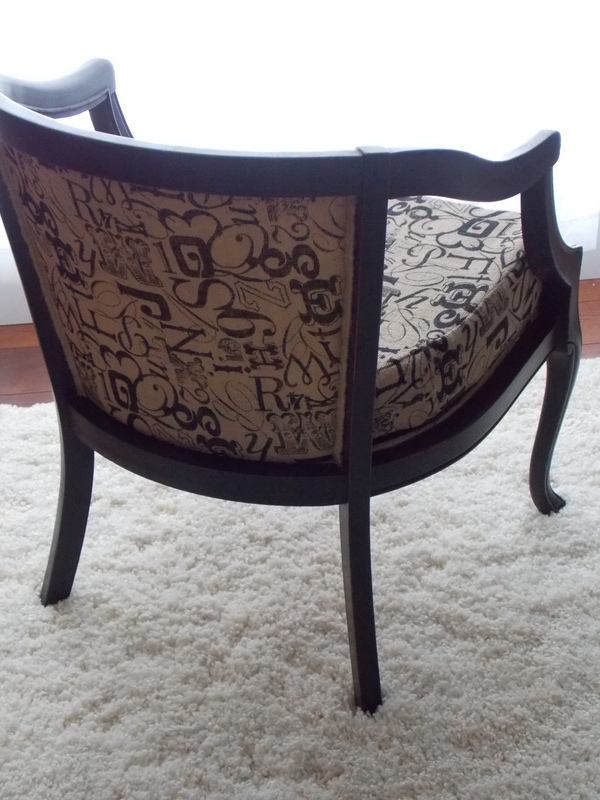 It turned out to be perfect detailing for this sweet chair. 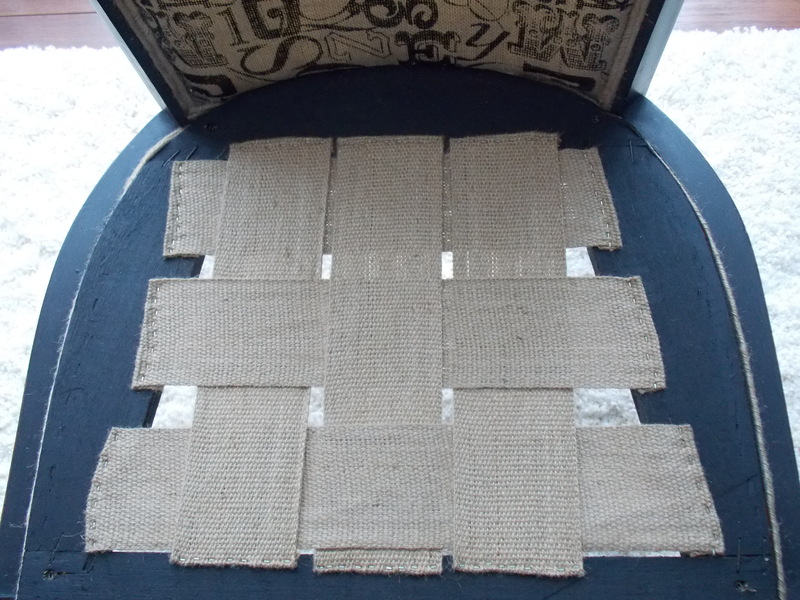 For the seat I used some Jute in a weaved pattern. Originally it was covered up with more fabric but I liked the way it looked just left raw and decided to leave it… It gives it more character and a bit of the “deconstructed” look that I love. After the back and seat were done I sewed a new cushion cover. I did use the old foam cushion rather than replace it, I find that if you steam the foam it revives it and puffs it back up into it’s original thickness and shape. It doesn’t always work depending on how squished it is but most of the time it does. This can save you a tonne of money when reupholstering something as foam can be very expensive…especially good quality foam. 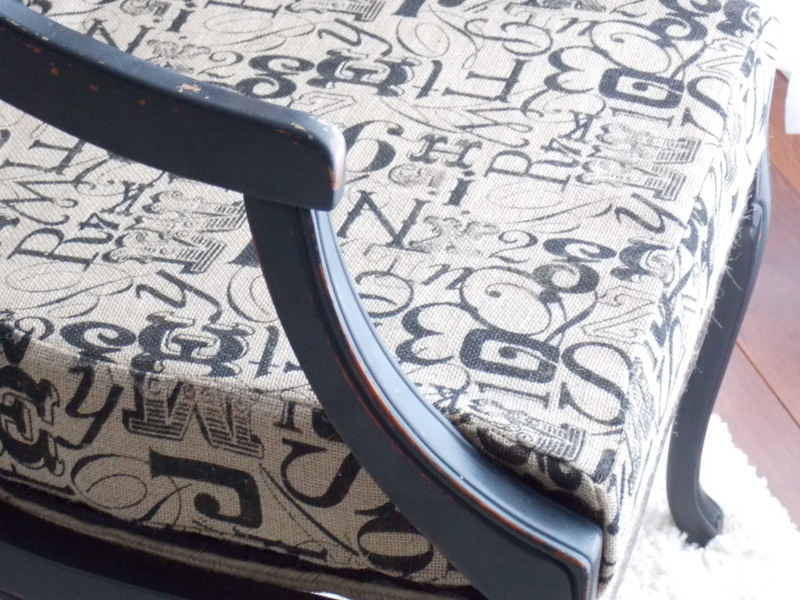 I love this printed burlap! 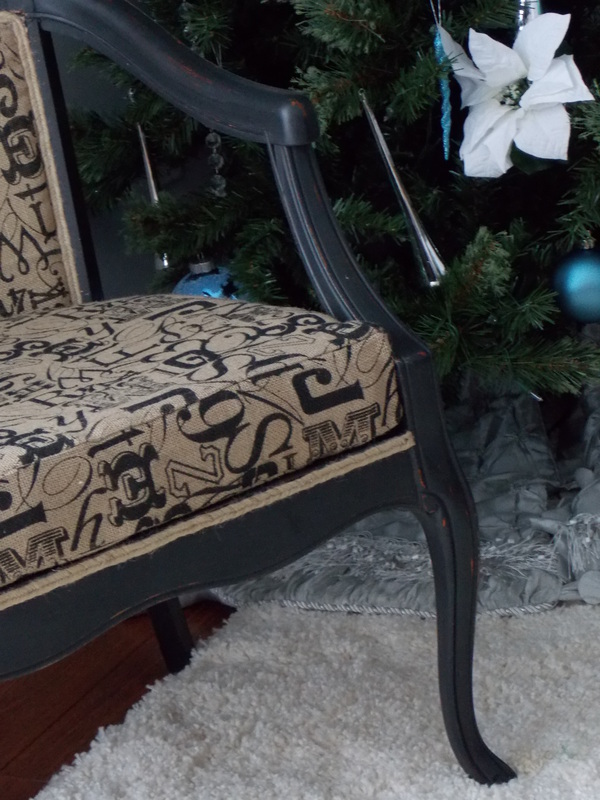 This chair looks so classy now that I almost want to keep it for myself! I hope whoever wins her loves it as much as I do! Thank you to all my followers who take the time to visit and leave me such nice comments, I enjoy connecting with you :0) ! If you visit me often please become a follower and let me know you’re there! Smiles for a great weekend! Love it! And just in time too. 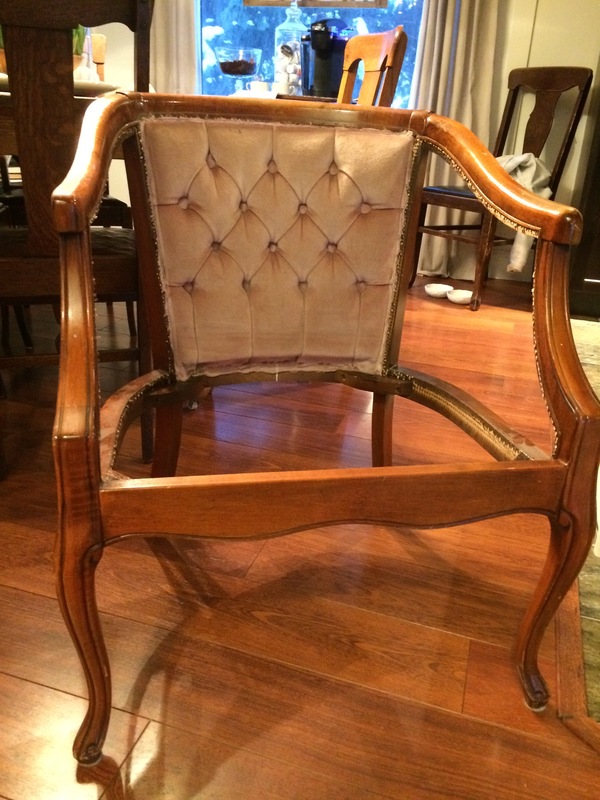 My parents just gave me a bergere chair and I am going to try to recover it. Did you hot glue the trim on? And staple gun the fabric? 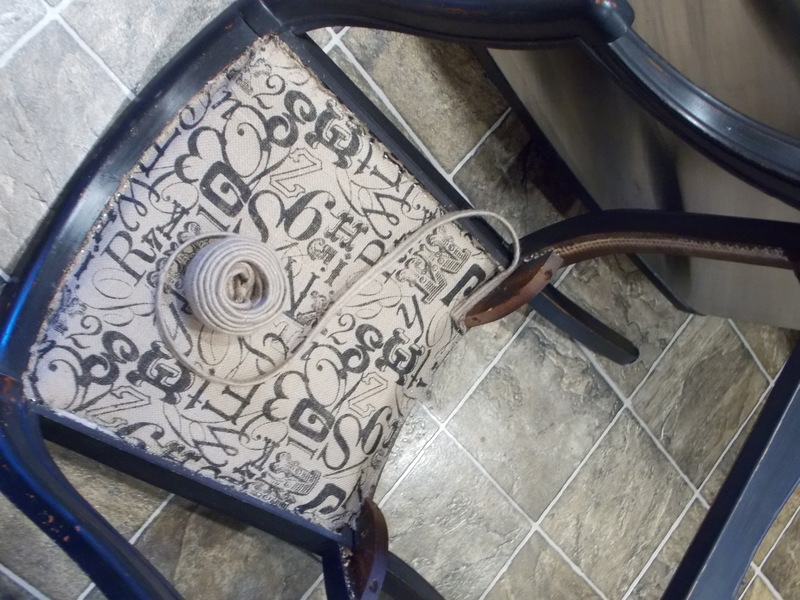 The fabric is attached with an air stapler for upholstery and the trim is attached with fabric glue called liquid thread. I like it because it bonds so well without having to apply heat. Sometimes you can staple on the trim if it is a trim that will hide the staples. Good luck with your chair, let me know how it turns out! 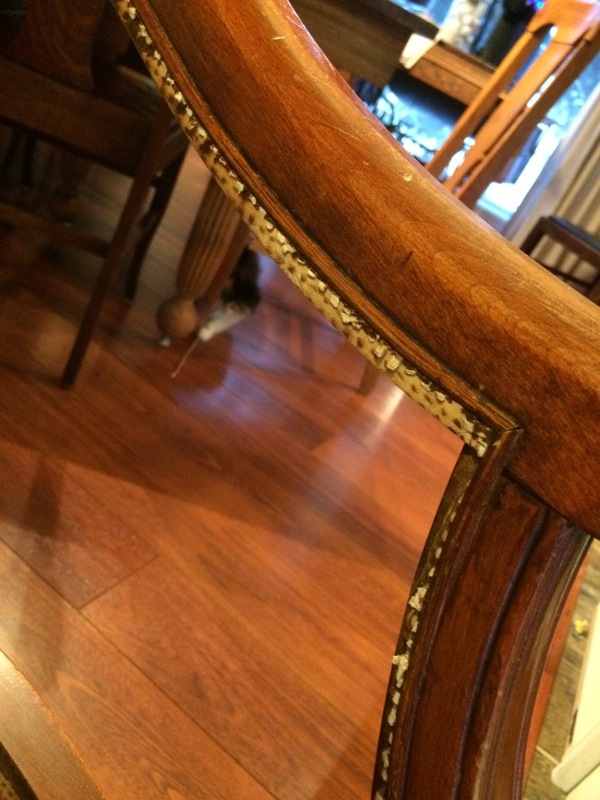 Just make sure that the length of your staples are appropriate for the thickness of the wood :) One time I did a whole back of a chair before I realized that they were poking through the other side! 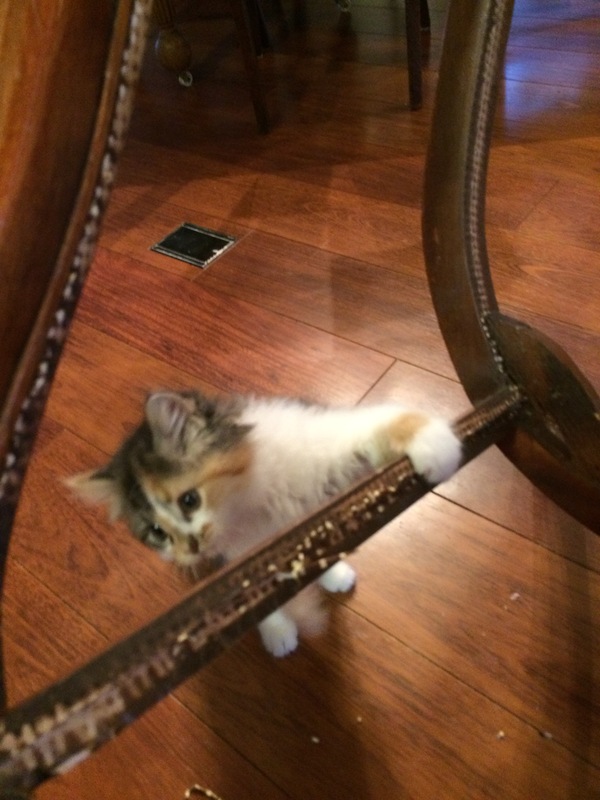 Hey there … Found This… ! :) I don’t have a huge amount of patience in writing a step by step lol…here is the short version… :) Next time I will do it proper I promise! 6. Stand back and admire! You may ask me as many questions as you like! :0) I will help where I can. What are you going to be upholstering? … curious! 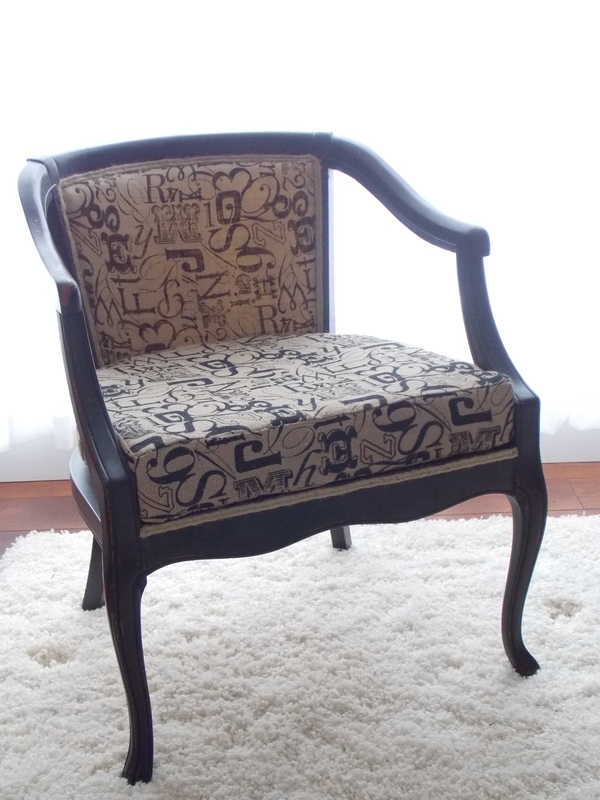 Wow, the chair turned out beautifully! Now I wish I had those, what I tho’t then, were ugly cane-sided chairs we sold at auction from my parents after my mom passed. It’s amazing how cool they could have become! Maybe I’ll find one somewhere and try my luck at redoing it. Thanks for showing the project. Hi Naomi! Thanks for the nice comment and the visit! I have sellers regret sometimes too… Maybe you will find one at a thrift store somewhere, that’s where I found this little gem for only $5.00! Simply stunning. And sure to be a big hit at the raffle. 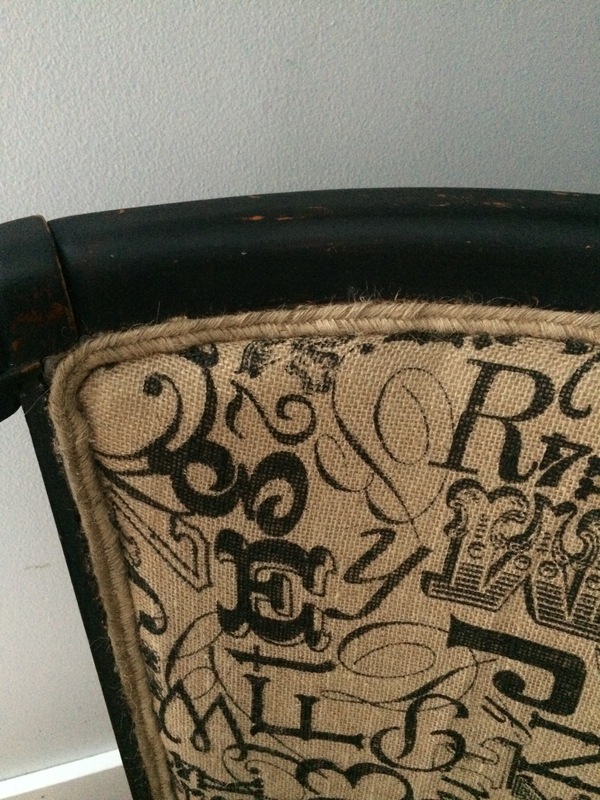 I have a $5 garage sale chair with good bones but tragic harvest gold courderoy/velour upholstery that I’ve been putting off redoing. You’ve inspired me to get to work on it! This is really wonderful. I would love it if you shared at my link party, Welcome to the Woods Wednesday, on http://backwoodsbabies.blogspot.com. It will go live on Tuesday evening. I hope to see you there. Hello Sarah! I would love to join your party! Thank you for the invite :) and the nice compliment. I hope you visit again!